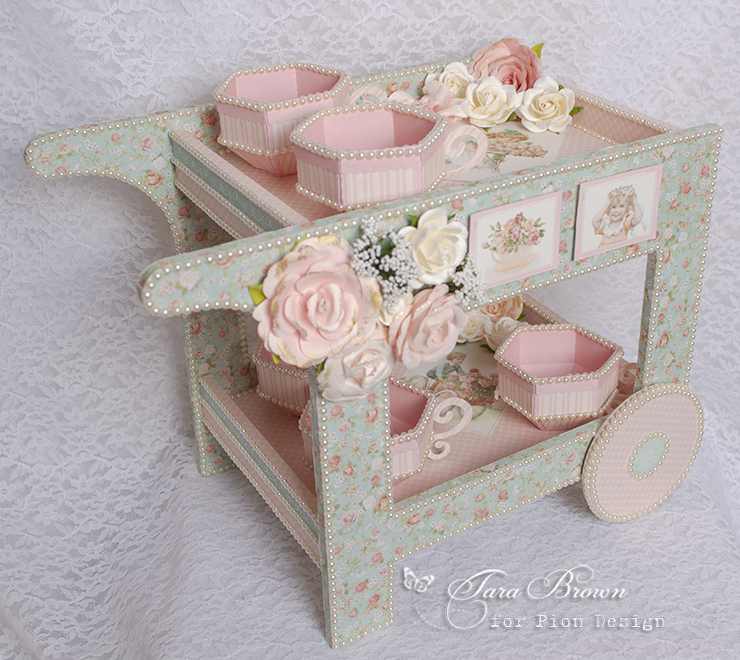 I used Life is Peachy papers to cover this little wooden tea cart. I actually intend to use the project to store craft paints, arts beads, and small craft tools but wanted to show the altered cart with paper tea cups also made with papers from the collection. Cheers to another beautiful, amazing paper collection by Pion Design! Your creations are truly AMAZING!!! !